Your Menu . . . Enjoy our delicious gourmet food, freshly prepared by your chef/hostess and served on deck in breathtaking locations. 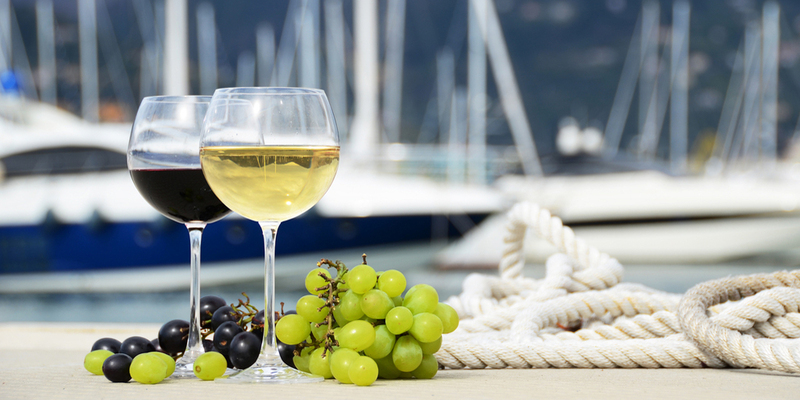 Our luxury yacht charters are presented on a half board basis. 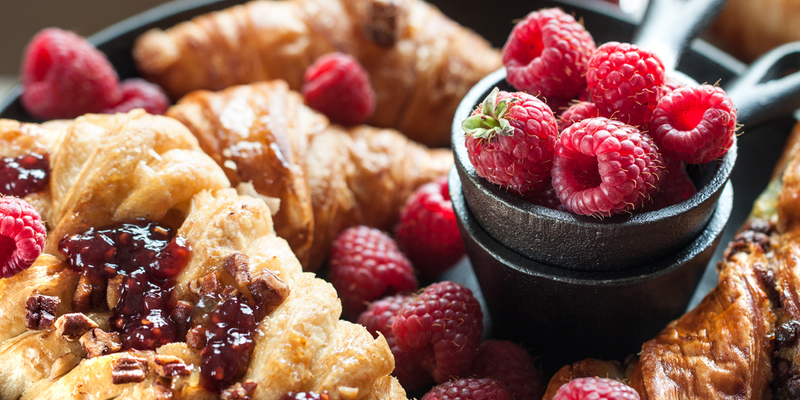 Breakfasts and Lunches are included each day, freshly prepared by your chef/hostess. 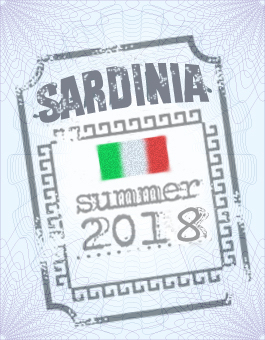 Enjoy wine from Sardinian vineyards and regional beers served each day with your lunch. Tea, coffee and non-alcoholic refreshment drinks are included at all times. Each evening your crew will sail you to another key destination where you can dine ashore in a restaurant of your choice. 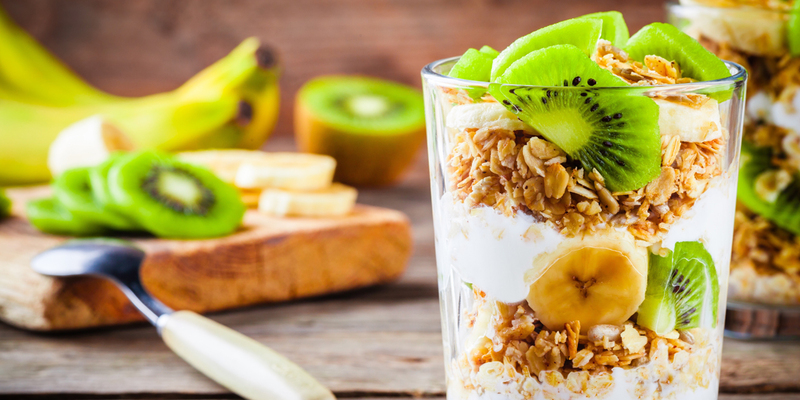 Each day your chef/hostess will prepare a refreshing breakfast collection. Wake up to the scent of Italian coffee. 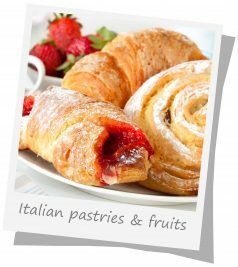 Traditional pastries, cakes and croissants. Greek yoghurt, Mediterranean fruits and honey topped with crumbled cinnamon biscuits. A selection of cereals and mueslis. Cafetieres of coffee. Decaffeinated coffee, tea and fruit juices. Bob and Fliss (Bedfordshire) Sardinia and Corsica. 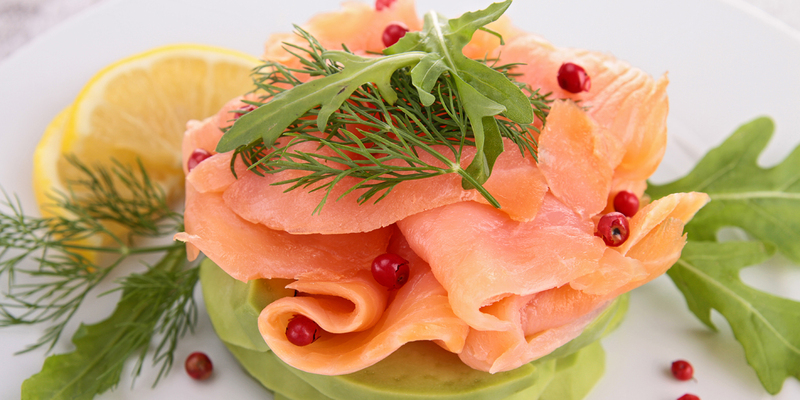 A delicious combination of smoked salmon, eggs, avocado and capers served on a bed of freshly prepared crisp salad. Layers of sun-ripened sliced tomatoes and buffalo mozzarella cheese drizzled with extra virgin olive oil, topped with fresh basil and served with freshly baked bread and Sardinian Pane Guttiau. Mouth-watering combinations of Italian cold meats, prosciutto, bresaola, parma ham, salami, beef carpaccio served with roasted peppers, figs or artichokes. 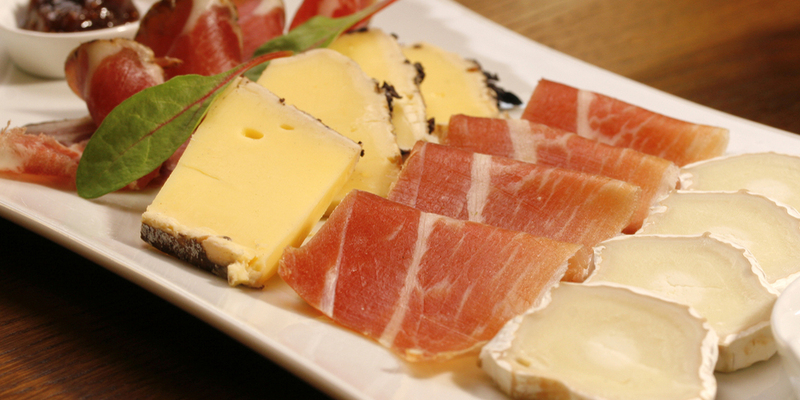 Delicious combinations of Sardinian and French cheeses served with olives, grapes and figs. A lovely combination of freshly prepared sun ripened tomatoes, cucumber, green peppers, onions, black olives and Feta cheese served with freshly baked bread. A Mediterranean favourite, a combination of tuna, tomatoes, cucumber, onions, peppers and crisp lettuce, served with freshly baked focaccia bread. Delicious toasted Italian bread layered with black olive tapenade and topped with chopped ripe tomatoes, onions, herbs and extra virgin olive oil- sometimes served with feta for an extra twist. Seasoned with butter, black pepper or garlic. Fine slices of Italian Prosciutto ham folded with artichokes and a rocket salad. Tender chicken pieces chopped onto a bed of crisp lettuce, with parmesan, walnuts and caesar dressing. A favourite side dish served with our crisp salads and antipasti dishes. A perfect combination of refreshing melon wrapped in Parma ham dressed with rocket. As all food is locally sourced, choices are subject to availability. We returned to the thrill of a Sixth Sense sailing holiday for the second time with the wonderful team of Tony and Tina. Stepping on board felt like returning to an oasis of luxury and serenity. The beautiful yacht, the comfy suite cabins, delicious food and the supreme attention to detail that enveloped us the first time we chose to join Tina and Tony had not changed, it was even better. A new itinerary was specially planned to take us to new beautiful bays, pretty islands and interesting citadel towns in Corsica. Tina and Tony have a knack of finding the most turquoise of bays for lunch spots and excellent swimming. Maddalena, to the Lavezzi islands and to the stunning east coast of Corsica. Waters warmed by the summer sun and beautiful white sandy beaches awaited us at every cove. Evening moorings provided wondrous beach restaurants (personally researched by Tina and Tony) while the marinas at Bonifacio and Porto Vecchio provided a huge variety of eateries with breath-taking backdrops of ancient fortifications and Genoan architecture. Sun, sea, sailing, scenery, food, friendship, laughter and adventure, this holiday has it all. A very special moment in time starring out across an ever changing sea and just letting go of life's stresses, the biggest decision you'll make is what to drink at lunch. This is what Sixth Sense Yachting offers and more. Incredible. Our week was over too soon and we had to leave our wonderful hosts on their lovely yacht but only until the next time Tina and Tony! !